Language Arts is my favorite part to teach! 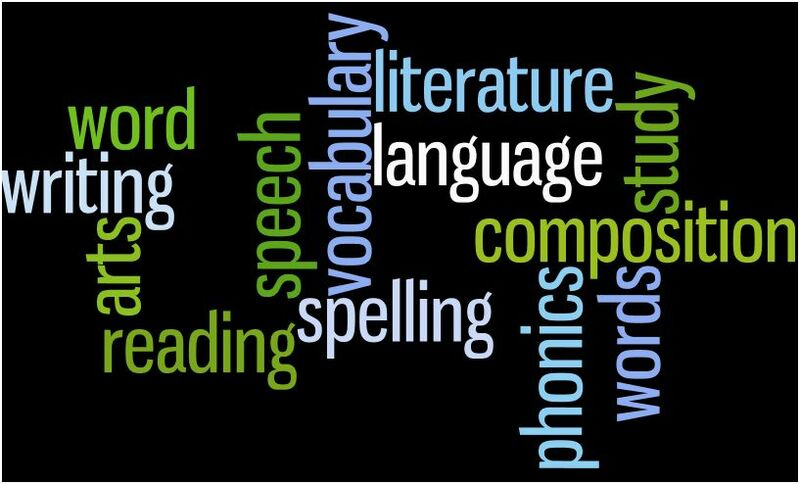 Language Arts is made up of phonics, spelling, reading, poetry, grammar, and writing. All About Reading Level 1 – Bee’s going to start learning to read! She finished the Pre-Level and she knows her letters and letter sounds. Now, she’s ready to sound out some words! We will do 1 lesson per week or less, depending on how well she progresses. Bob Books – In addition to the readers from All About Reading, we’ll slowly work through the Bob Book readers. Each day we’ll read through a couple poems together and discuss. Easy! All About Reading Level 2 – We have loved Level 1 and Tiger has made wonderful progress! We can’t wait to start in on Level 2! We love the games and the readers and the hands-on aspect of learning to read. As soon as Tiger is done with the first level (which may not be until Christmas time) we will move on to the next level. Bob Books – He will continue working through the Bob Book sets in addition to the readers from All About Reading. All About Spelling Level 1 – We’ll start this program in the spring or summer once he’s reading more fluently. Phonics Road Level 2 – Our main program is the Phonics Road. I love how all language arts subjects are integrated and I love the strong focus on phonics and learning to spell. I think I’ve learned just as much as Curly has while using this program. Level 2 has a literature study, phonics, spelling, grammar, and some dictation. I think it will be a good challenge for Curly. We may finish this level in spring or it might go into the next school year. We’ll just take our time. Writing With Ease 2 – We added this program into our rotation this year and we’ve really enjoyed using it. We love the passages to read and the narration has greatly helped Curly’s retention and listening skills. We’ll work through this level slowly and maybe even finish it over the summer. First Language Lessons 2 – This was another program we tried this year and really enjoyed. We did each lesson together orally and it only took about 5-10 minutes. It was very easy to use and Curly remembered the lessons very well. It has been a great grammar practice for her. Vocabulit Grade 3 – We tried some vocabulary this year and had lots of fun with this workbook. Curly enjoyed using the glossary at the back as her own little dictionary. Each lesson has an excerpt from a book for the reading passage. All the vocabulary words are found in that story. Curly is able to complete the lessons independently. Evan Moor Daily Language Grade 2 – Curly worked through Level 1 this year and it was a great review and constant reminder to apply her grammar rules. She will work through the next level on her own while I work with either Bee or Tiger. Pentime 2 – We’ll use this to practice Curly’s manuscript and start working on cursive. She’s so excited to start with cursive! All About Spelling 3 – I think we’ll use this as a review over the summer at the end of our 2nd grade year. Literature Guides – I’m considering literature guides from several companies to check Curly’s reading comprehension. I absolutely cannot decide yet! So, that’s our crazy lineup for Language Arts. It will be so fun and will keep everyone busy! Ohh and I really want the new Bible Heroes Writing Lessons from Institute for Excellence in Writing. It looks like such a perfect precursor to their writing program. Total overkill I know, but it sure does look fun! How do you schedule all the LA for Curly? I have kids similar in age. We will be starting PR1 this year, hopefully at a rapid pace as the boys at 9 and 8 can already read. We do WWE and FLL first thing in the morning. We also read poetry during this time. We spend about 30 min on it. Later we have a 30 min time block for PR and we do nothing but PR during that time. We stop when it's been 30 min. The other things like the Evan Moor workbook and the Vocabulit she does on her own while I work with the other kids. So, we do spend a fair amount of time on language arts but I think it's so important for her to have a strong foundation in this. Last year we spent much more time on math so we could get addition and subtraction down. This year we're going to work more on language arts since spelling is difficult for her right now. I also really want to do Bible Heroes but I don't know how I would fit it in!